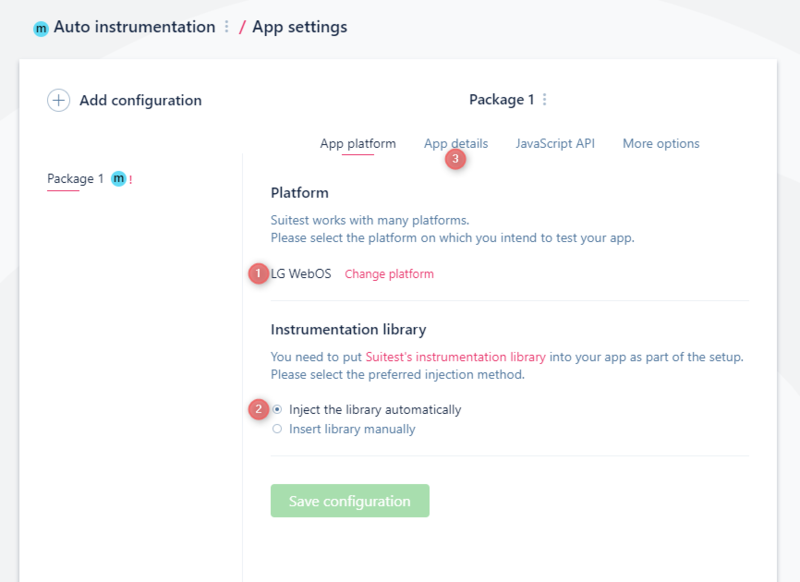 Suitest is now able to inject the instrumentation library directly into the application package. 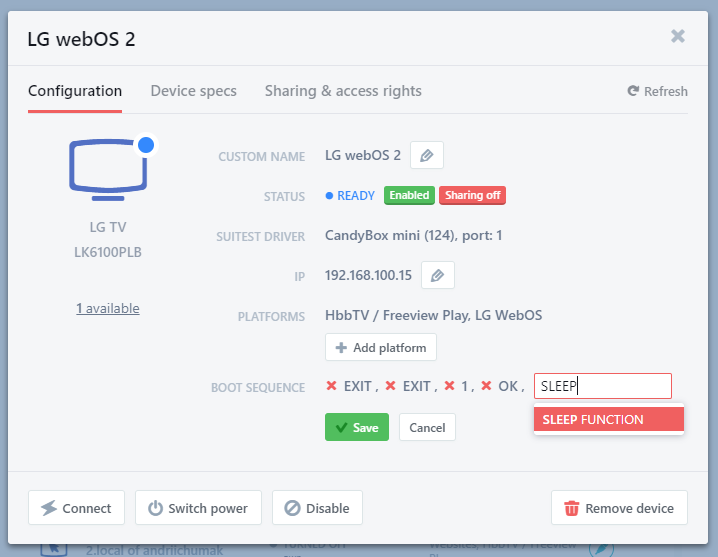 Create a new configuration via Add configuration or change platform to either LG webOS or Roku platform. Select Inject the library automatically to activate automatic injection. Switch to the App details tab. 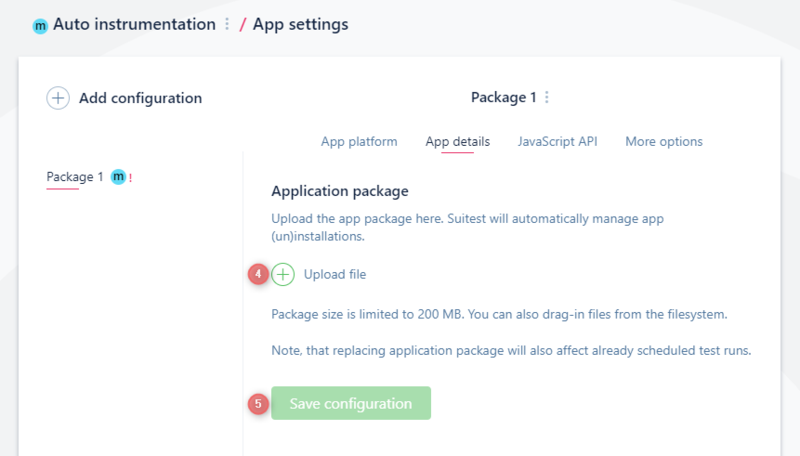 On the App details tab, upload the application package. For more information please take a look at LG webOS instrumentation or Roku instrumentation. Set text operation added for Websites platform. Visible action added for HTML-based platforms, allowing you to easily check whether an element is visible. Set text operation added for Android TV, Apple TV (tvOS), Xbox One Native and soon coming to Roku as well. Allows you to Set text of an element on the mentioned platforms. Devices can now be configured to turn off after a specific amount of inactivity (not connected and no tests running). Possibility to not automatically turn off the device is also added. General improvements in the performance of Apple TV and Android TV devices. Faster connection to Apple TV and Android TV devices. Apple TV and Android TV devices can now be controlled via Virtual Remote Controller without an application running. New version of SuitestDrive (1.5.10). For HbbTV / Freeview Play devices boot sequence is required to tune to the Suitest bootstrap channel. To make things easier we have added the Sleep(seconds) function into the boot sequence. The sleep function allows you to set between 1 and 60 seconds for the device to sleep before executing the next step in the sequence. Element's matches and network request's requestMatches and responseMatches can now be defined as a simple hash. Added syntactic sugar for checking video states. Release notes. 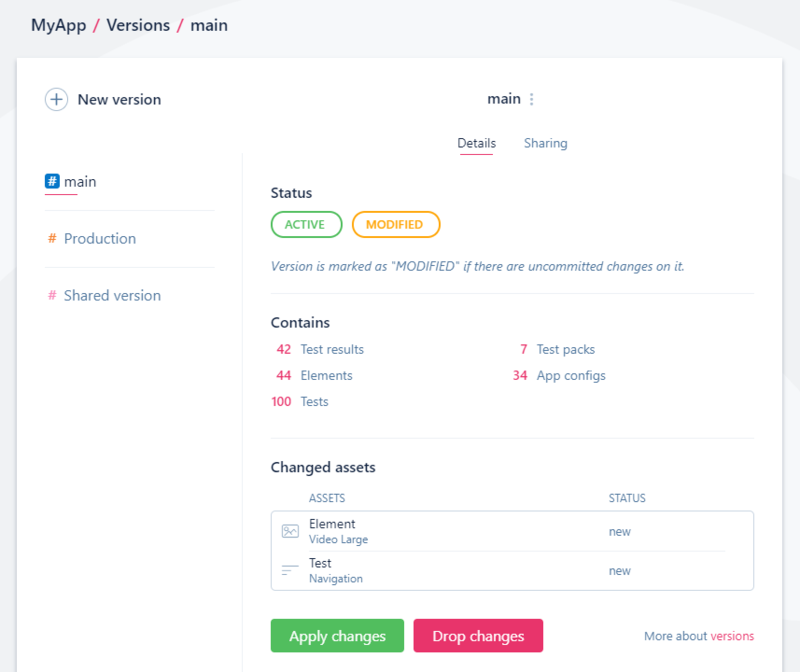 Released application versioning and sharing. More information. Share versions to other organization based on organization ID. More information. Create versions of an application, duplicate existing versions, apply and drop changes. More information.